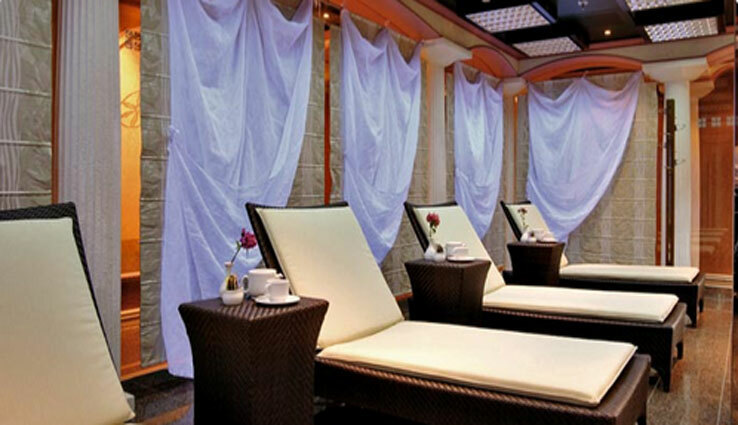 A great range of Costa Mediterranea reviews written by our customers. To write your own Costa Mediterranea review click the link on the right. Summary: Very nice ship. Beautiful cabin service very good Bit of a loss for things to do not many quizzes or Activities . We never made it to Sir Bani Yas island Something to do with the tide/swell we couldn’t land by tender Poor itenery . Summary: My Aunty and I had an absolutely fabulous time on our mini Mediterranean cruise with Costa. My aunty has walking difficulties and I worried how she would cope on boarding the ship and on board. I needn’t have worried at all. The crew on board were so helpful and cheery all the time. Nothing was too much trouble for them. I was also a little concerned about the language barrier as the reviews I’d read had mixed reviews on the communication on announcements, etc. There was not a problem at any point of the cruise. Everyone spoke perfect English! The ship itself was immaculate and very Italianesque which was very nice. Food was brilliant and short of nothing. Entertainment was a little repetitive but non the less entertaining each night. I woudn’t hesitate at all to book another cruise with Costa. Summary: Can never forgot this Very bad experience with Costa cruise some years ago, almost lost my luggage with no apology. Stupid staff gave the 2 of us 1 single emergency life pack for clothes exchange. Can never accept this stupid idea, how can the 2 of us share a single pack! Will never go on Costa cruise again! Ridiculous poor cruise management. Summary: SIX STARS!!! EXCELLENT!!! I had the loveliest time! 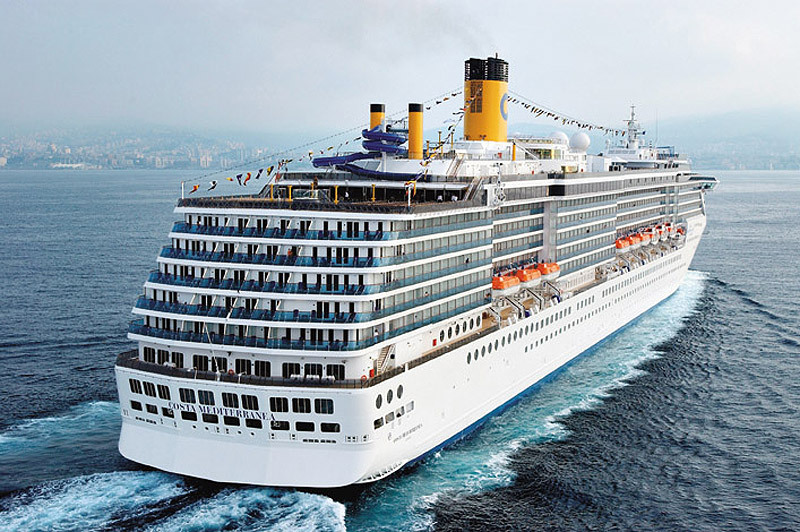 Went on the Costa Mediterranea Christmas Cruise 7 nights 22-29 December 2015. From the initial booking with Iglu (Thank you to Louise, who was so helpful and friendly, not to mention highly efficient!) to the experience on the ship with all the lovely friendly crew members, I enjoyed it all so much. Beautiful Italian ship with a great cabin with balcony. There was a bowl of fresh fruit and a selection of gluten free pastries in my cabin when I arrived. A nice touch. Breakfast was delivered to my cabin every morning - what a treat! My cabin Steward, Sidney, was highly efficient, friendly and helpful. My cabin and bathroom were cleaned twice a day. The ladies in the Spa were all just wonderful. Had my nails done with Lycel from Philippines, who was so sweet; Had my hair done by a wonderful hairdresser called Dea from Romania and amazing massages from Maria Antonia from Spain. Everyone was so warm, kind and gentle and I felt as though I was the most important person in a warmhearted family. They are all highly professional and great at what they do. The food served in the restaurants is delicious and of the highest quality. (I was embarrassed by one or two British passengers who complained about being served Italian cuisine on an Italian ship... next time stay at home and eat egg and chips!!) I have to follow a strict gluten free diet and this ship has separate kitchens to cater for gluten free food. I had my own new gluten free menu every day and Maria, my designated 'gluten free waitress' took care of me really well. Nothing was too much trouble. She was warm and friendly and very pleasant indeed. After dinner a drink in the bar was served by a delightful gentleman called Francis. He treated us like members of his family and couldn't have been more kind and friendly. Although they work long hours, the crew members made it look as though they were just enjoying looking after family members. Everything was done willingly and with a smile. Exceptional service. I couldn't go on any of the organised shore excursions because I have mobility difficulties (I use a stick to walk) and it seems you needed to be fit and well enough to walk distances for most of them. I think this is something that the company could address. There are helpers for disabled people at airports and seaports, so why not have designated wheelchairs and pushers to help passengers with restricted mobility to enjoy excursions. As it happened, I met another passenger on the first day, single lady who also walked with a stick, and we hooked up together and took our own taxi tours around the places of interest to us in each port. Overall, as a single older lady, with restricted mobility, I was not sure if a cruise was the best idea for a Christmas holiday. However, I need not have worried: this cruise far exceeded my expectations. I had a great time, thoroughly enjoyed myself, made new friends and I'd like to thank all the crew members and Costa Cruises for making my first cruise so special. 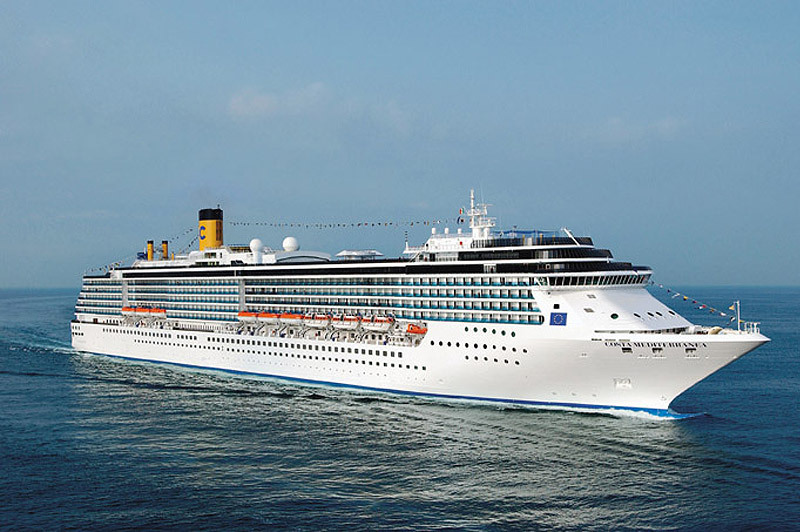 Summary: We found the cabin of Costa Mediterranea quite spacious and closet space better than other cruises. 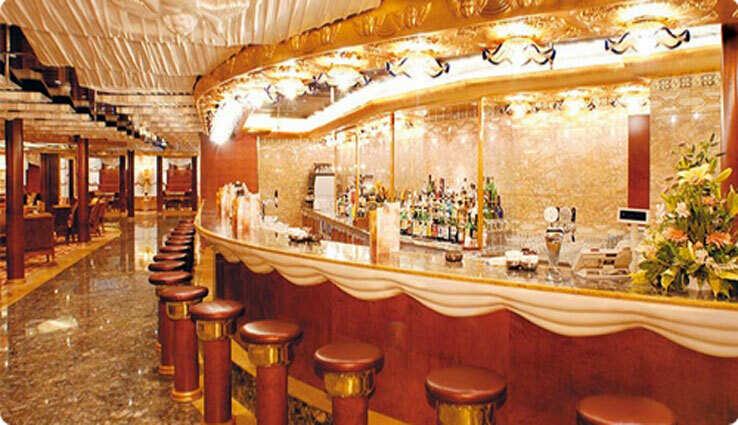 The ship's layout is conducive to creating an Italian atmosphere. 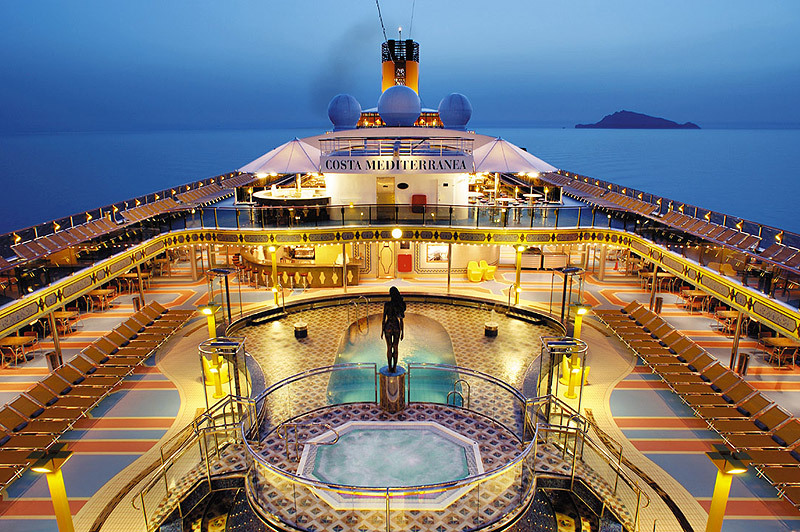 The ship was spotless and most beautiful than any other ship I have been on. 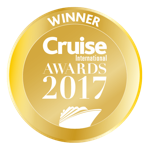 The Cruise staff were very pleasant and helpful. From our waiter, assistant waiter, to our cabin steward they are all so brilliant. 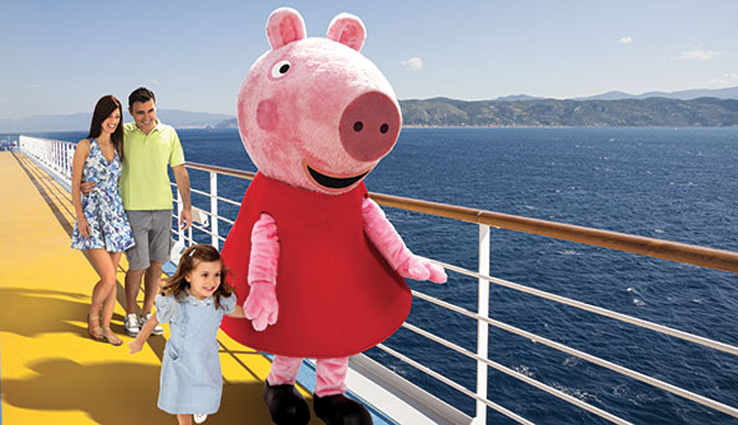 Also the Costa Mediterranea is brilliant for our kids, there are plenty of great kids programs to keep them busy. So me and my wife had a lot of space for us to relaxed. This ship is definitely one which we will come back again in the future. Summary: We sailed on Costa Mediterranea in April from Fort Lauderdale to Mexico. 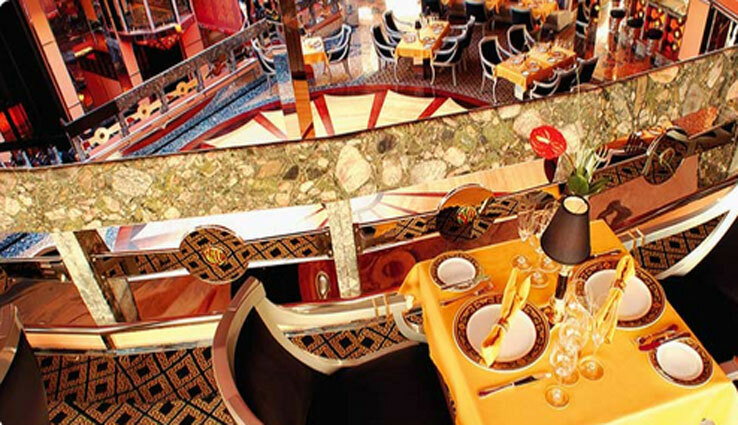 The ship was extremely luxurious and the food was superb, especially the Italian ice-cream. Entertainment in the theatre was rather poor - I think the Italians have a different sense of humour to the British! We went with our teenage children (21 and 18 years old). Be aware that, as we sailed in American waters, my 18 year old was not able to buy alcoholic drinks onboard the ship. Overall it was an excellent holiday and I would recommend the Costa Mediterranea.